The London Youth Gospel Choir sang a fine set upstairs at the drinks reception before leading us down to our tables where the Ross Stanley Trio were already setting up for their first set of the night, played a lovely Bill Evans – style rendition of Young and Foolish and provided pretty much all the background music throughout the night. After a rollicking, bluesy set from Cerys Matthews host Ian Shaw stepped up to the podium to announce first award. Instead of making long speeches, the musicians often prefer to play. 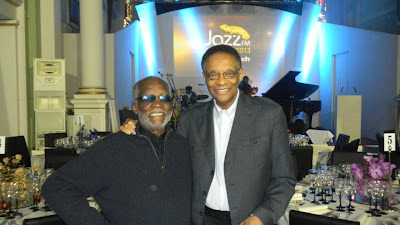 When Ramsey Lewis was presented with his Gold Award For Outstanding Contribution To Jazz , he launched into a fluid, impressionistic and almost worshipful version of Coltrane's Dear Lord before presenting us with an angular and almost Thelonious Monk-esque Body and Soul. Carleen Anderson sang a soulful version of Don't Look Back in Anger by Oasis (and the sheer vocal range of the woman was enough to silence the hall) when presented with her award for UK Vocalist Of The Year. 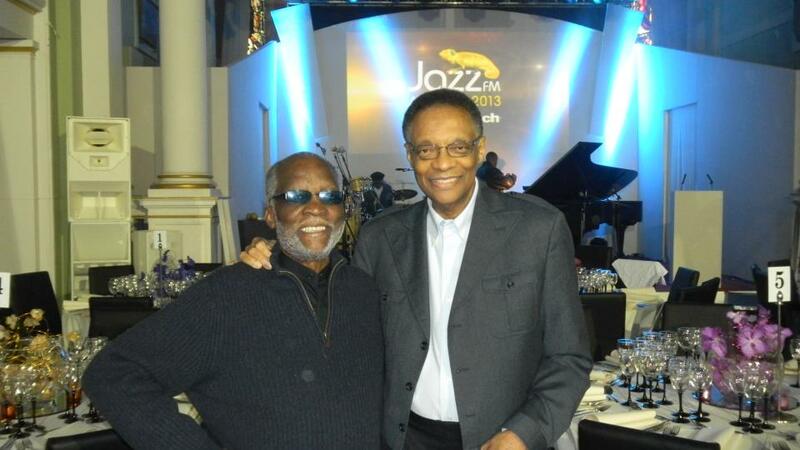 The night was brought to an end by Ahmad Jamal who, after receiving his award for for Lifetime Achievement, played a set that was simply excellent, subtle and the product of a lifetime of living in music. Kaz Simmons: Crowdfunding - A Way Forward?